The City of Eastland Historic Preservation Board has set the following dates for their 2020 Historic Preservation Grant period: Begin accepting applications April 1, 2019 through July 1, 2019. The board anticipates making recommendations from the applications to the City Commission at their regular September monthly meeting. The 2020 Grant period runs October 1, 2019 through September 30, 2020. Approved grants must be completed and reimbursed by September 15, 2020 as the grant period will close on September 30. The Historic Grants are funded from city collected hotel motel taxes. These taxes are not available for general fund items through the City such as street repair, water/sewer work as directed by the State of Texas. In the past the City of Eastland has awarded grant funds of over $243,000 for structural repairs and or façade restoration to properties located within the downtown Historic District in projects totaling more than $406,000. The grants are a matching award based on the work requested. Grants paid out in the past have included matches of 50/50 to 75/25. In an extreme case a 100% grant has been awarded where structural integrity was at risk. If you own property within the Historic District (see attached map) and the property is in need of façade or structural work, whether it be windows, doors, awnings, roof or more, pick up an application today at Eastland City Hall. For more information on the Historic Preservation Grant please contact Eastland City Hall at 254-629-8321. The City of Eastland is currently seeking persons interested in serving on city appointed boards that help make vital decisions for the city’s growth and future. As board vacancies arise, each Board will review their applications and submit a list of applicants to the City Commission for appointment. When multiple applications are received the remaining applications will go on file for future appointments. Each board has their own board member guidelines concerning who may serve. Powers/Duties: Among other functions, to develop an economic development plan for the city, set forth goals to accomplish the plan to include but not limited to an economic strategy to bolster the business climate throughout the city; fully utilize the assets of the city to enhance economic development; identify strategies to coordinate public, private, academic resources to develop and enhance business opportunities for all citizens of Eastland. The board shall assure accountability of all tax monies expended. Powers/Duties: Among other functions, to protect and enhance the landmarks and districts which represent distinctive elements of Eastland’s historic, architectural, and cultural heritage. Encourage stabilization, restoration, and improvements of historic properties and their values. Powers/Duties: Among other functions, to make, amend, extend, or add to a Land Use Plan for the physical development of the City; recommend to City Commission approval or disapproval of proposed changes in the zoning districts and/or ordinances; Approve or disapprove the platting or subdividing of land within the corporate limits of the City and within adjacent areas as permitted by law. Powers/Duties: Among other functions, to hear and decide appeals where alleged error of law in any order, requirement, decision, or determination made during enforcement of the Planning & Zoning Code; interpret the provisions of the code in such a way as to carry out the intent and purpose of the plan. 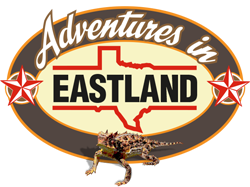 For an application, stop by Eastland City Hall at 113 E Commerce St. For more information, contact Shirley Stuart, Bill Dolen or Terry Simmons at 254-629-8321. City of Eastland Code Compliance Department has begun inspecting alleyways within the city for violations after receiving numerous complaints. Per City of Eastland Ordinances it is each property owner’s responsibility to maintain their portion of the alley to the center line. Maintenance includes mowing and the removal of any brush, junk or other debris. It is also a violation to park any vehicle, trailer, motor home or boat in any alleyway. Alleyways must be kept free and clear of any obstructions to allow emergency, utility or other vehicles to travel through them without issue.